It may seem somewhat counterintuitive, but H1B visas, which are nonimmigrant visas granted to highly skilled workers, are essentially given via lottery every fiscal year and have been for roughly the last decade and more. Citing the slapdash nature of the process, the current administration has sought to streamline and refine it - however, the changes being proposed are far from uniformly approved. New proposed modifications also continue to come in, sometimes from presidential tweets and other unlikely or untrustworthy sources, which makes the process arguably even more chaotic. H1B visa holders are foreign workers that are allowed to be employed by U.S. companies temporarily, for so-called “specialty occupations.” Specialty occupations are defined as those requiring “theoretical and practical application” of a body of “highly specialized knowledge” in a host of different fields, including biology, chemistry, law, economics, theology, and many others. They must hold at least a bachelor’s degree or its equivalent, and the period of employment is three years, extendable to six before one must reapply for a new visa. An H1B visa is somewhat unique in that it is perhaps the only visa where an employer puts forth the effort to apply, and yet is not guaranteed a satisfactory result. There is a cap on the category, allowing 65,000 H1B applications to be granted, and 20,000 H1Bs to be granted under the so-called ‘masters’ cap’ for those with advanced degrees from U.S. schools. 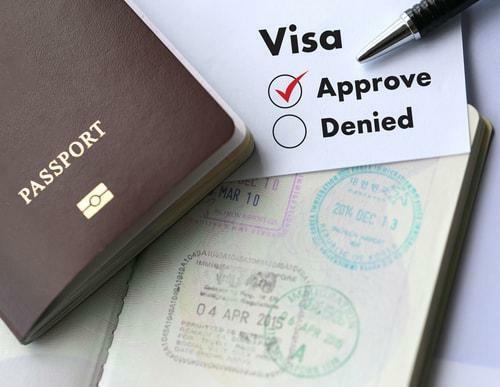 If your application is not chosen, the fee is refunded, but that is that - you are not permitted to work in the job that would require the visa. This can be catastrophic for many, especially if they had planned around receiving the job. Statistics from Safe Horizon show that one-in-four women and one-in-seven men will be severely physically abused during their lifetimes, with the majority of those instances occurring at the hands of someone in their immediate family or living situation. The figures are even higher in the immigrant community (both documented and undocumented) for many different reasons. However, many times, relief does not come as easily to immigrant victims. Many are unaware that they might even be able to apply for permanent immigration status in the United States, if they fit certain qualifications, when doing so might let them escape their abusers for good. If you are in such a situation, reviewing the criteria might possibly save your life. Despite the name, the Violence Against Women Act (VAWA) applies to anyone with nonimmigrant status, of any gender, who can prove abuse by a U.S. citizen related to them. Immigrant women are statistically more likely to experience partner violence than immigrant men—very often, it is a husband or father who establishes a residence and citizenship in the U.S. first, and then petitions for his wife and/or children, which then places them in a disadvantaged position, as their immigration status is then dependent on his. However, men do receive status under VAWA if they meet the qualifications. When a person applies for a nonimmigrant visa to visit the United States, there are strict requirements he or she must fulfill before the visa will be granted. (This applies even to countries that are a part of the Visa Waiver program, if they have a specific purpose in coming into the country.) While these requirements have been reviewed and slated for modification in recent months, there are certain factors that remain unchanged. One of these is the issue of immigrant intent. If you do not understand the rule, immigration issues may result. Section 214(b) of the Immigration & Nationality Act states explicitly that U.S. consular officers must presume that everyone who applies for a nonimmigrant visa has immigrant intent—that is, the intent to remain in the United States despite the fact that nonimmigrant visa applicants pledge to return home after their business is concluded. This means that it is not personal—no matter how you appear or how you speak, the consular officer is required to suspect that you have lied on your application. Immigration to the U.S., especially on a temporary basis, has always been a difficult and complex endeavor. Perhaps the most easily confused set of rules revolves around the H1B visa, which is designated for foreign workers in ‘specialty’ occupations. Everything from the duration of stay, to the person applying for the visa and beyond has been brought into question; it is imperative that you understand what is true and required if you will be using the H1B visa to come to the United States. Myth: You can apply for an H1B visa just like any other type of nonimmigrant visa, by completing an application and mailing it in. False. H1B visas, because they are so in demand, are only available during a specific window, usually beginning on April 1 and ending whenever the cap has been reached. Unlike many nonimmigrant visas, H1Bs are capped by an act of Congress, mostly to restrict the potential adverse effects on U.S. citizen employment rates. Also, in most cases you yourself will not complete the relevant paperwork for an H1B, but rather the U.S. employer with whom you have formed a relationship. You will likely have to provide information, but the law actually requires that the employer be the one to submit the petition. What Does it Mean to Become a Public Charge? When a potential immigrant wants to come to the United States, he or she must meet all requirements for the visa or status he or she wishes to obtain. Many nonimmigrant visas in particular require that a person not be (or be at risk of becoming) ‘a public charge,’ but there is some significant confusion about what that actually means. The concept of public charge has been a part of U.S. immigration law for many years, and is governed by Section 212(a)(4) of the Immigration & Nationality Act. What it means is that if someone wishes to immigrate or adjust status, he or she may be denied or ruled inadmissible if he or she is “likely to become a public charge.” If someone has an affidavit of support (that is, an affidavit from an employer or family member showing that the person will be provided for), then he or she is generally presumed not to be at risk of becoming dependent on government benefits.